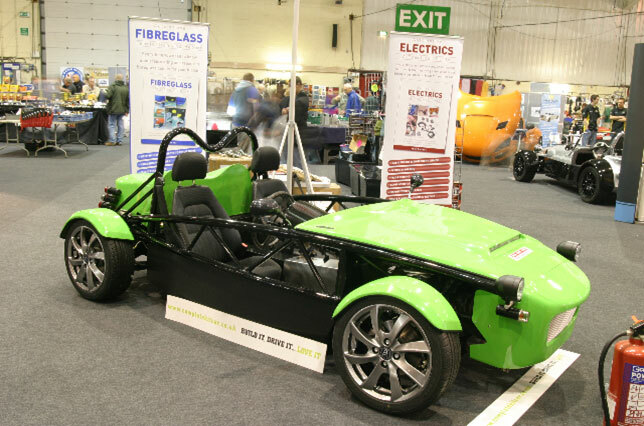 MEV was out in force at one of the UK’s largest kit car shows this weekend at Exeter. In a word, Exeter 2011 was excellent. The MEV booth was overflowing with cars and visitors eager to explore the Rocket, Atomic, tR1ke Sonic 7, and the new white beast: the Lightweight Exocet. Overall the show was really well attended with a good number of exhibitors and a large amount of visitors. Also, an excellent display of private kit cars outside including several that were really superbly finished and presented. Not to mention, no rain! We are seeing quite a bit of positive response on the web from show goers. All in all a really good show. Organizer John Cook put together a very professional and well run show which sadly is his last, as he has now retired from the Kit Car Show scene. Hopefully the new organizers will continue the good work that John has put in over many years and we look forward to Detling and Exeter in 2012.